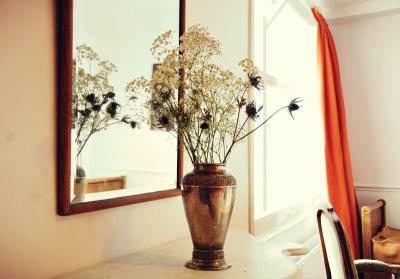 Lock in a great price for Berger's B&B – rated 9.2 by recent guests! Lovely old building, very quaint and friendly. Fritz was very helpful and welcoming, and the breakfast they serve is above almost any other I had, including in many stars hotels. The breakfast was excellent! The location is very convenient. The hosts are wonderful and helpful. Charming hosts. Filling breakfast. Great location! I would definitely stay here again. I loved the Green Room! Old, nice kept building, well decorated. Room was really big, with the vintage furniture. 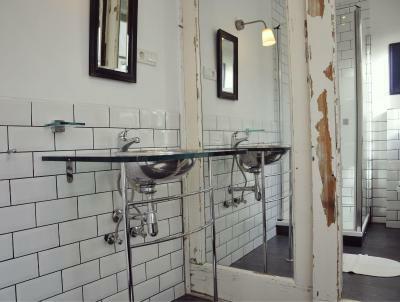 the bathroom is modern, well equipped. Service was outstanding, same the breakfast. Perfect location to walk around. 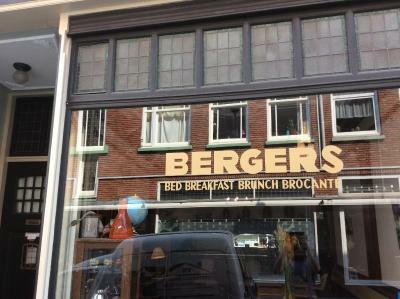 We loved our stay at Bergers B&B and The Hauge! We stayed here on our honeymoon for one night on our way to Amsterdam and wished we planned more time here. They made our stay so special and had chocolates and swan towels for our honeymoon! It was one of the highlights of our trip. 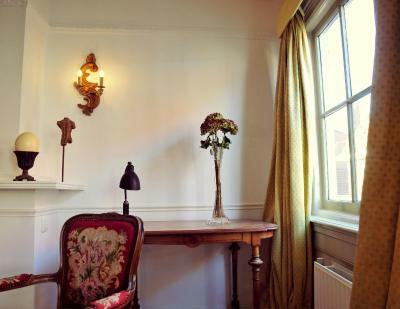 The B&B was so nicely decorated to kept the authentic feel of the city! The breakfast was great, and the hosts were helpful and did everything to make your stay special! Thanks for everything! Arthur was a fantastic host, the room was blissful. All around lovely stay. 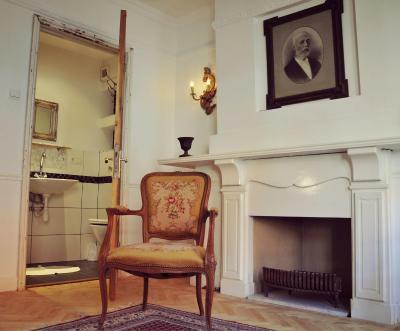 The B&B is beautifully eccentric! There are so many artsy nips and pieces all over the place that you always have something to look at. It's an old building, so expect stairs (lots and narrow), but that didn't bother us. Also, the breakfast is amazing. I'd come back to Berger's any time. The staff is great, I met mainly Artur and Lucas and I have to tell you that they are wonderful hosts. I felt welcomed and spoiled with a clean and very comfortable room, great conversation and wonderful breakfast. 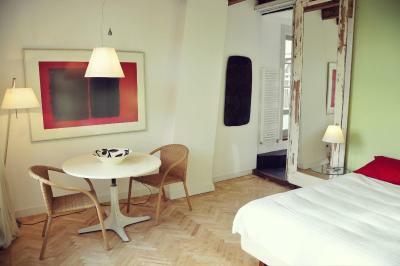 The whole place has somehow a bohemian atmosphere, that helps being more relaxed, in vacation, so we had a great stay! A big thanks to the hosts and we’ll definety return there when visiting The Hague or the near towns. Great location. Spacious room. Staff was wonderful. We loved our stay! 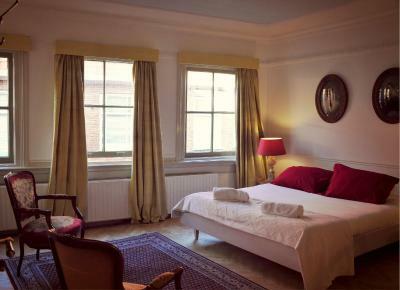 Berger's B&B is located in the city center of The Hague. Free WiFi access is available. 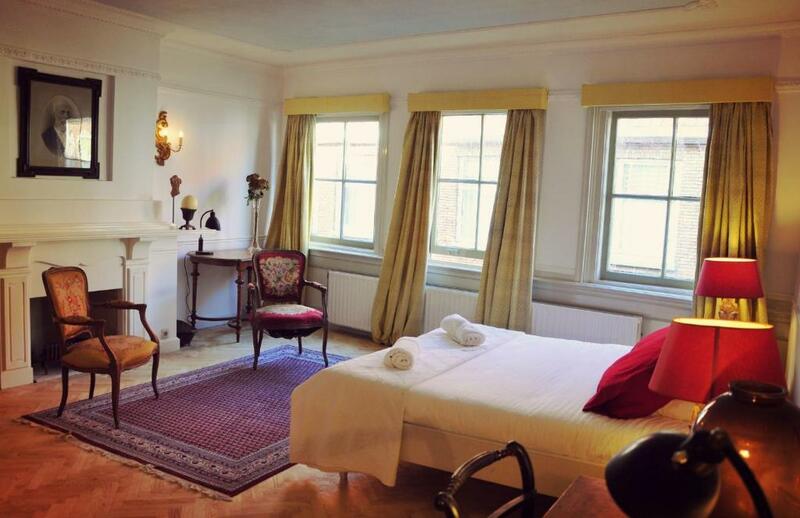 Binnenhof is 2,450 feet from this accommodations. Each room here will provide you with a TV. 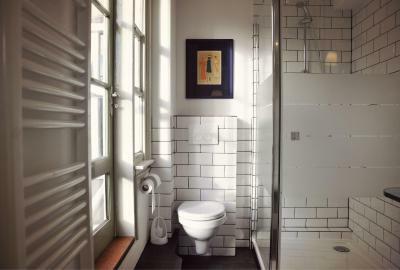 The private bathroom comes with a bath or shower. At Berger's B&B you will also find a garden. Other facilities offered at the property include luggage storage. If you feel like visiting the surroundings, the bed and breakfast is 2.1 mi from Madurodam and 1 mi from The Hague Central Station. Schiphol Airport is 27 mi away. 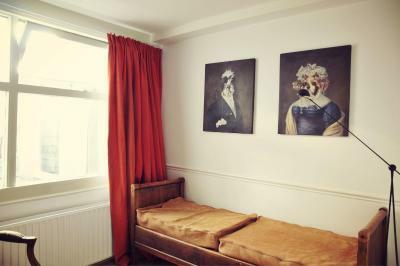 뀐 Located in the real heart of The Hague, this property has an excellent location score of 9.6! 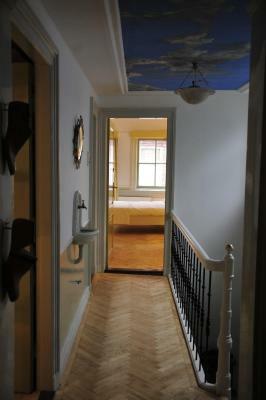 When would you like to stay at Berger's B&B? Private parking is available at a location nearby (reservation is needed) and costs EUR 12.50 per day. 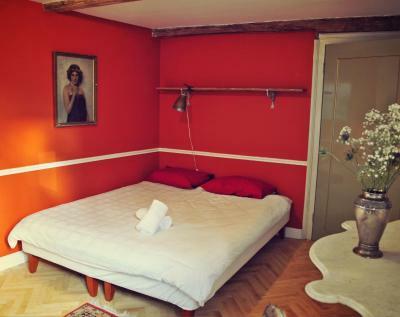 This double room features a sofa, private entrance and tea/coffee maker. 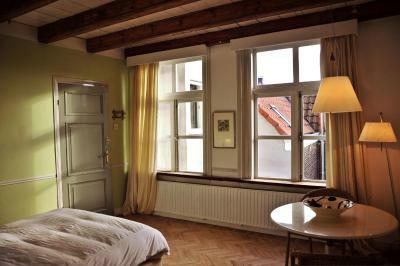 Bergers B&B is located in a 17th century monumental house. The foundation of the house is built on an even older foundation of a church which can be seen in the cellar of the house. 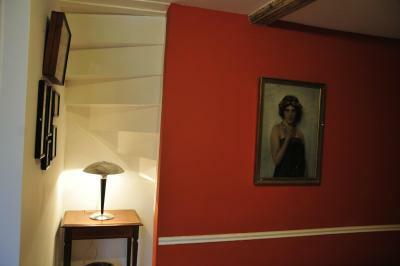 The interior consists of antiques, brocante, classical and modern artworks. This makes Bergers B&B a truely unique experience with rooms much larger then the average hotelroom and every room has it's own interior design. Also we have a special guestroom with a big variety of drinks and cigars. 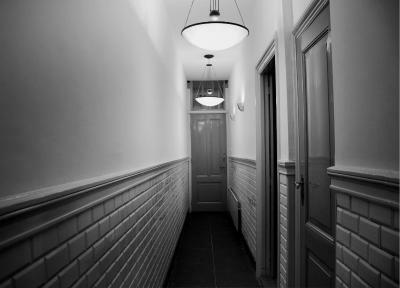 Another aspect that seperates Bergers B&B from the rest is the personal and friendly staff who can arrange basically anything for the guests. And as you can read back in the reviews, our breakfast is the best start of the day one can get. House Rules Berger's B&B takes special requests – add in the next step! Please note this property has a cash-only policies for payments. The building was very old. The WiFi is way too slow. Can’t do any surfing at all. I wanted to stay longer but work prevented it. From the moment of arrival to my departure I was made to feel welcome. The hotel is gorgeous with lots of great stuff. The bed was fantastic - it’s the best nights sleep I have had in months. It’s also a stone’s throw from the city centre where you can eat, shop or sight see. It’s far better than the commercial hotels, far more friendly and so peacefully. Breakfast the following morning was also spot on - I wasn’t expecting so much! Thank you Team Bergers- you will see me again. Old world charm, excellent host and very good breakfast. This place is in a great location, and has a querky but really enjoyable decor. The room we had was very comfortable and had everything we could require. The breakfast was lovely and served with a smile. The staff were super friendly and couldn't do more to help. 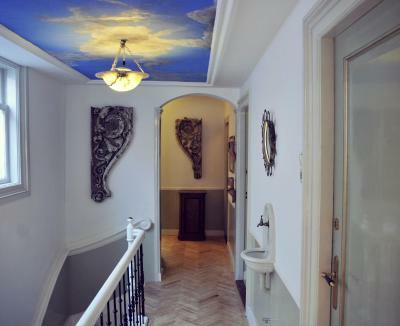 Great rooms with awesome flair. The beds are very comfortable and bog, we skeptisch really good. Very friendly owners and staff and also very welcoming towards dogs. Great breakfast! The hotel is situated close to the Center and Chinatown. Trams and buses can easily be reached. It was a great stay. Everything was clean and smelt great. The owner was nice and really helpful. The room and the hotel was full of interesting details. 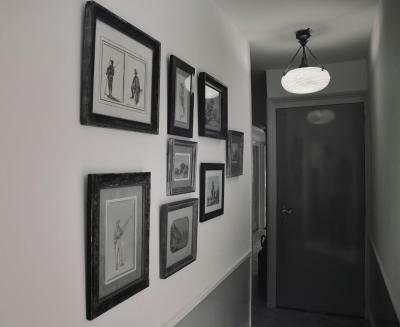 It is a really old house which was renovated but still didn't losе its charm. I really recommend this accommodation. Super friendly staff Beautiful room Perfect location Very good breakfast! 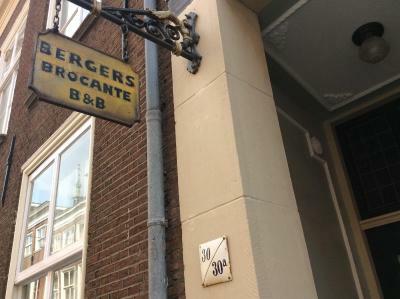 We loved the hospitality, the room was even better that we could have ever imagine, the breakfast was amazing the location was super and definitely we will visit bergers b&b again. The room we had was spacious bed comfy situated at the back of the B&B. Breakfast was enjoyable everything you needed to start you off for the day. Owners were chatty and helpful on hand if you needed to ask anything. would return when next in The Hague.